Data-driven companies are always striving to provide more meaningful customer engagement across multiple channels by better understanding their customers and prospects. The challenge is how to harness the wealth of data not just from peoples' transactions, but also generated by interactions from social, mobile, and IoT. Successful organizations are modernizing the data architecture to access, integrate, match, and analyze all types of data to understand customer behavior so marketers can drive more effective and relevant campaigns. 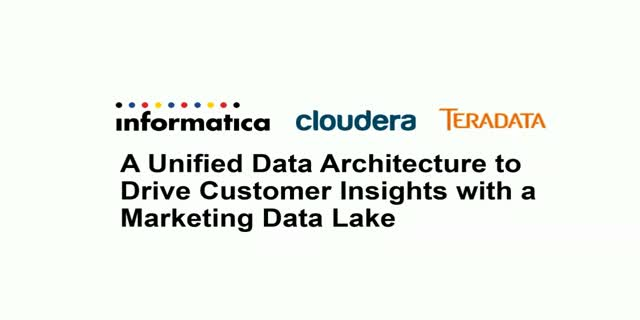 In this webinar, you’ll hear from the CTO’s at Cloudera, Teradata, and Informatica as they describe how to successfully build a marketing data lake as part of a unified data architecture that drives customer insights and revenue.